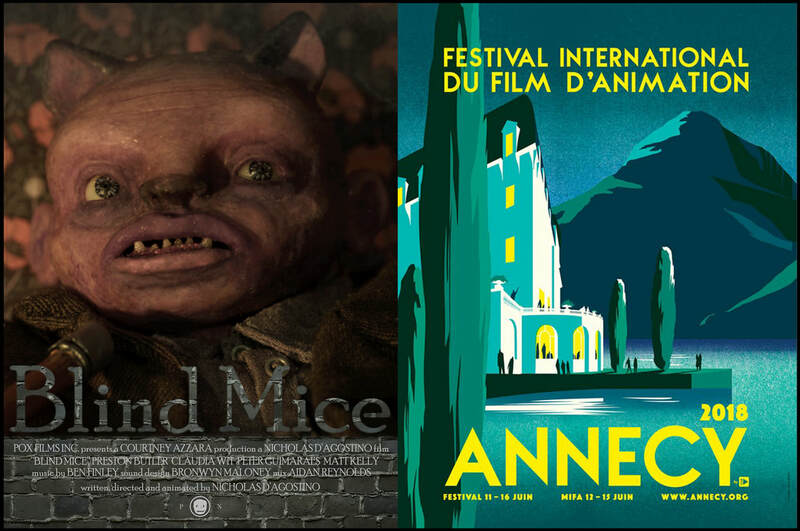 BLIND MICE is an official selection for Annecy International Animated Film Festival and Aspen Shortsfest, as well as the World Panorama program at Zagreb Animafest! Looking forward to sharing the film with everyone! 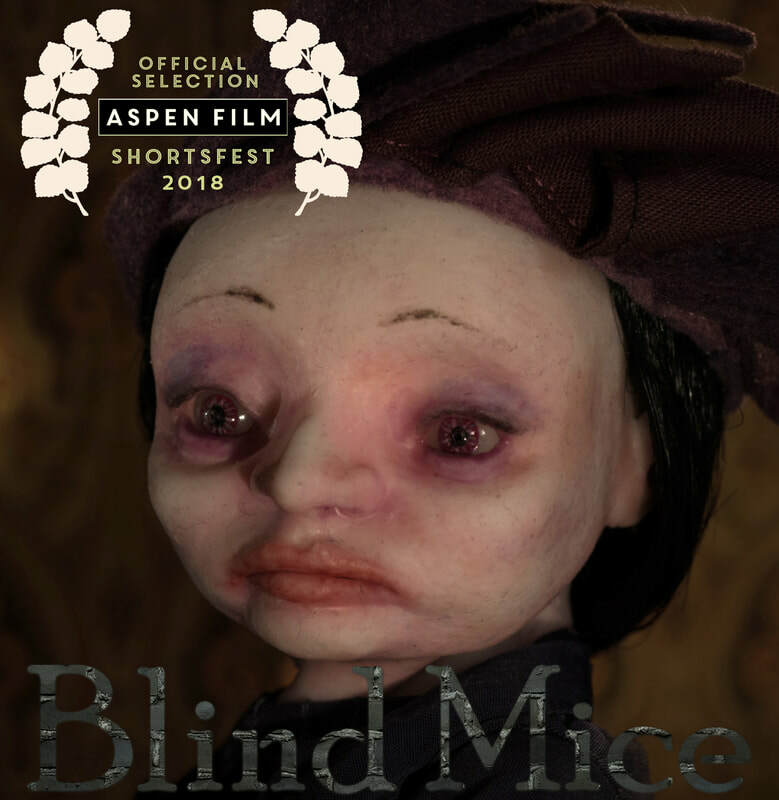 So thrilled to have recently finished our short film, Blind Mice. It was a lot of hard work and we couldn't be more proud of the result. We had such a talented crew, willing to work hard and share their skills on this project. 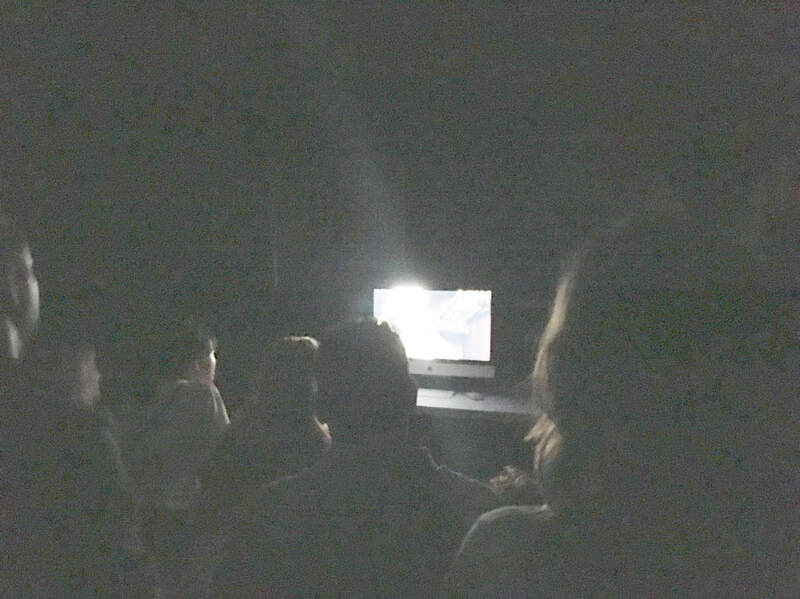 Here are some shots from the wrap party! 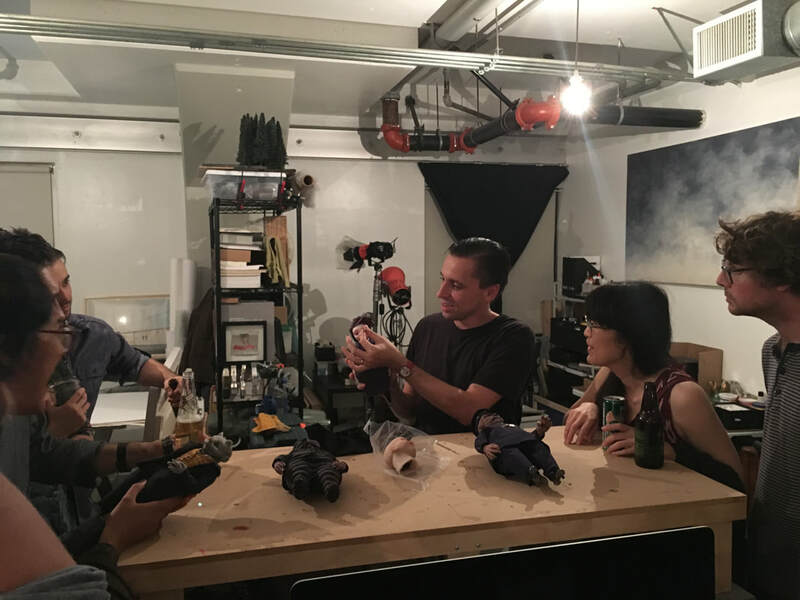 Nick demonstrates how he animated the eyes of the puppets. Thanks to all who came out to mingle and see the studio! Your work was greatly appreciated on this piece! Here are some of the amazing props that were fabricated by the likes of Emily Martinez and Ben Wickey. Miniature gun sculpted from scratch by Emily Martinez. The accoutrements for Mouse's desk, by Ben Wickey. Home stretch! 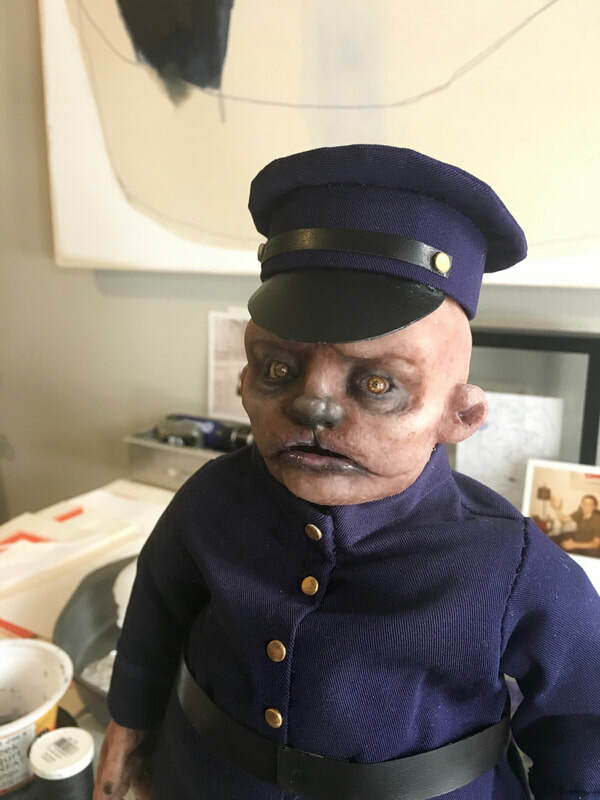 With just two more shot to go, Courtney Azzara works on the uniform for our doggish cop, Mulligan. Here he is! As Nick finished up painting the character and Courtney hemmed the costume it was super exciting to see each component come together. Just a few badges and details needed now! Our composer Ben Finley was incredible to work with. He cooked up a composition that perfectly fit the world of the film and assembled a wonderful team of talented musicians to bring it to life. 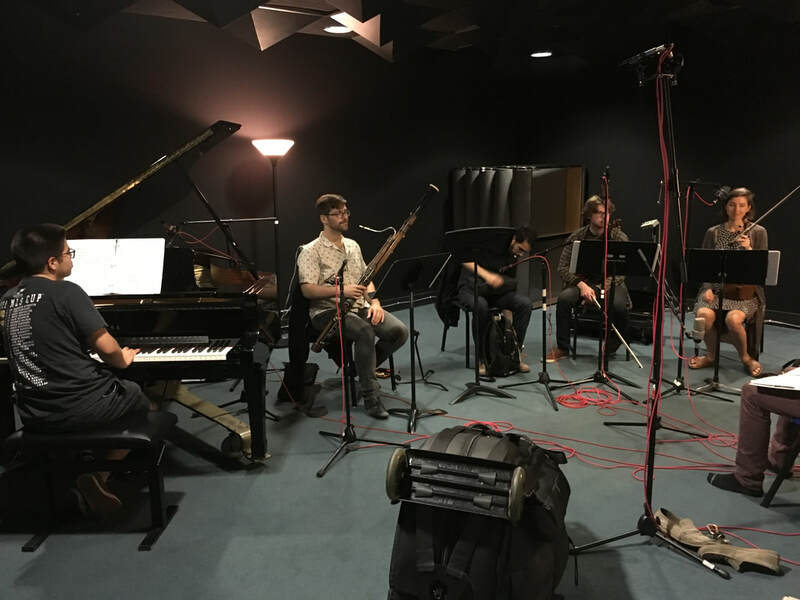 Diego Gaeta on Piano, Baniel Gonzalez on Clarinet, Yvette Holzwarth on Violin, Patrick Behnke on Viola and brining it all together Chriss Foss on Bassoon. Ben Finley, Nick, and Bronwyn Maloney look on. 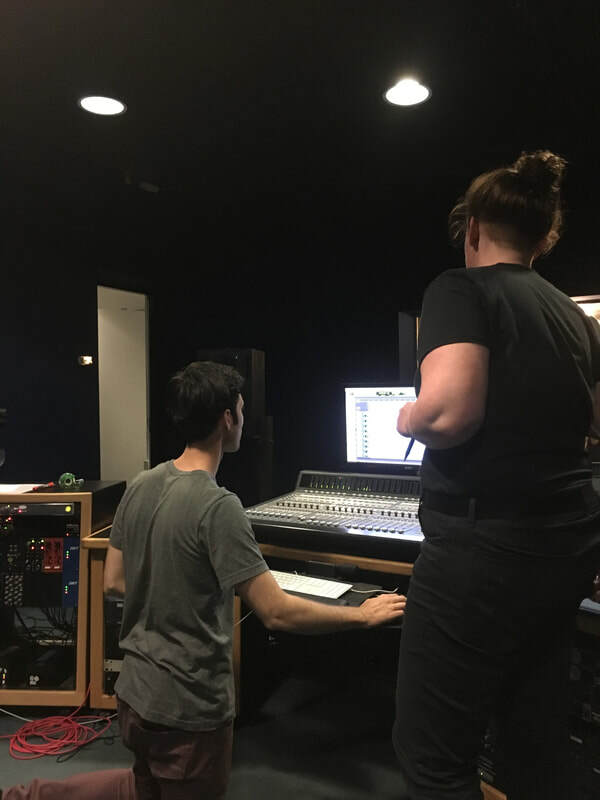 Bronwyn is our sound designer for the film and herself an animator. She built the sound around the atmosphere and action of each scene, weaving it into the score to create a full and rich soundscape. 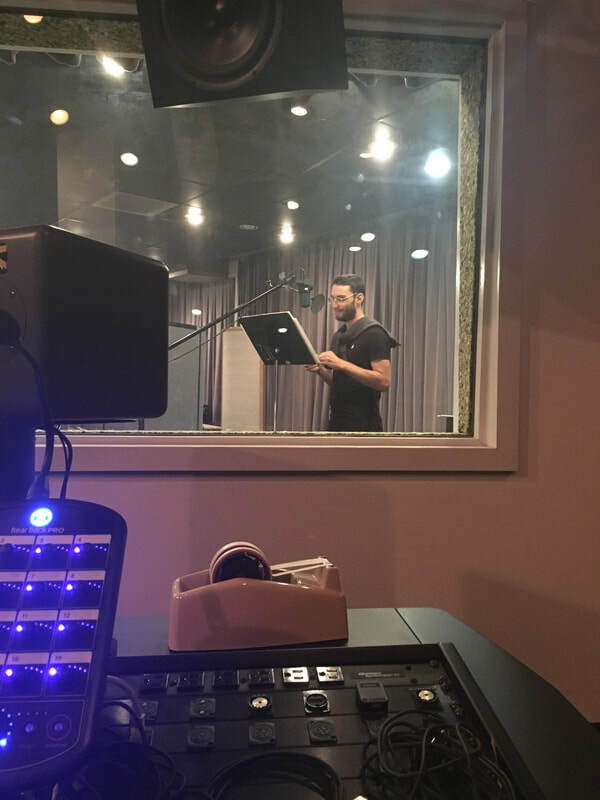 It was a truly exhilarating experience to hear what Ben had created for the film and watch it become sculpted as everyone came together and played. Looking forward to mixing the film and releasing Ben's own composers cut! Stay tuned. 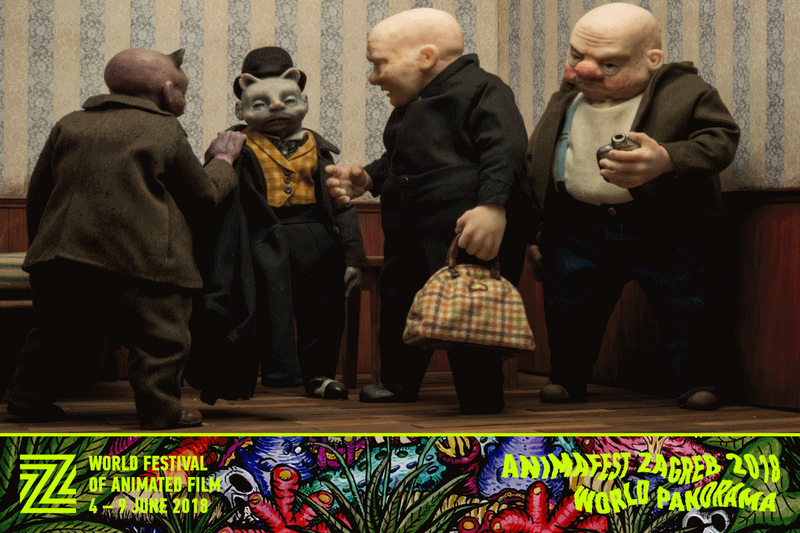 This film is a departure from our last short in many ways, from the dialog in the script, the materials used in fabricating the puppets, and in the many locations and sets created. 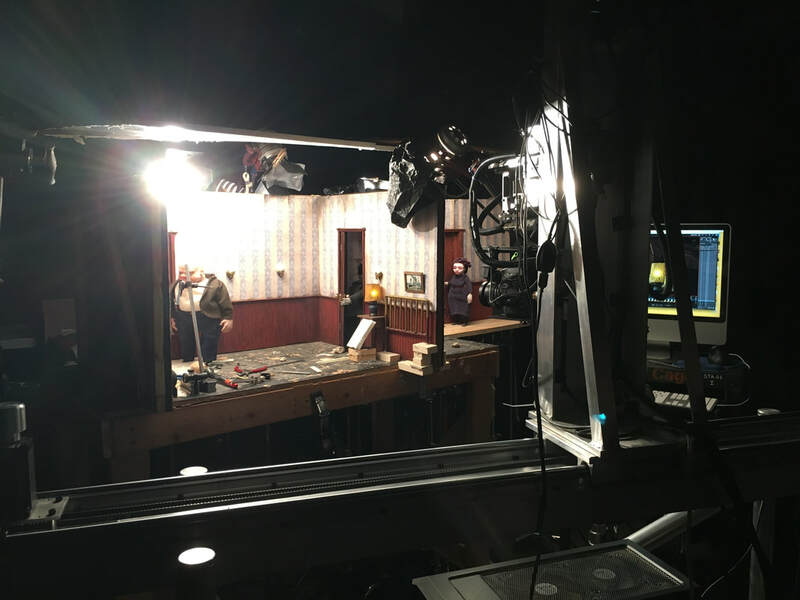 The pacing and action is also taken to another level and part of that is the use of the motion control as the film builds. 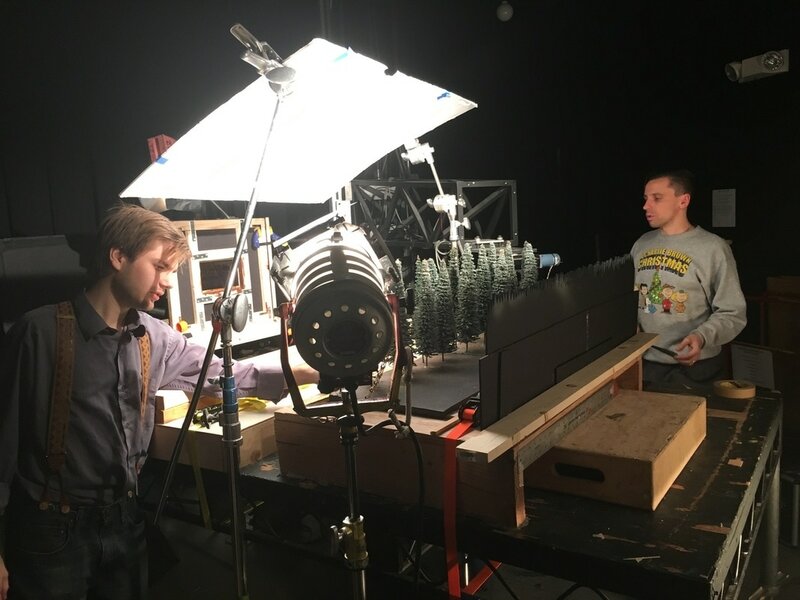 Here are some shots of the set up and Nick animating a tracking shot in very close quarters! One false move and you're screwed. 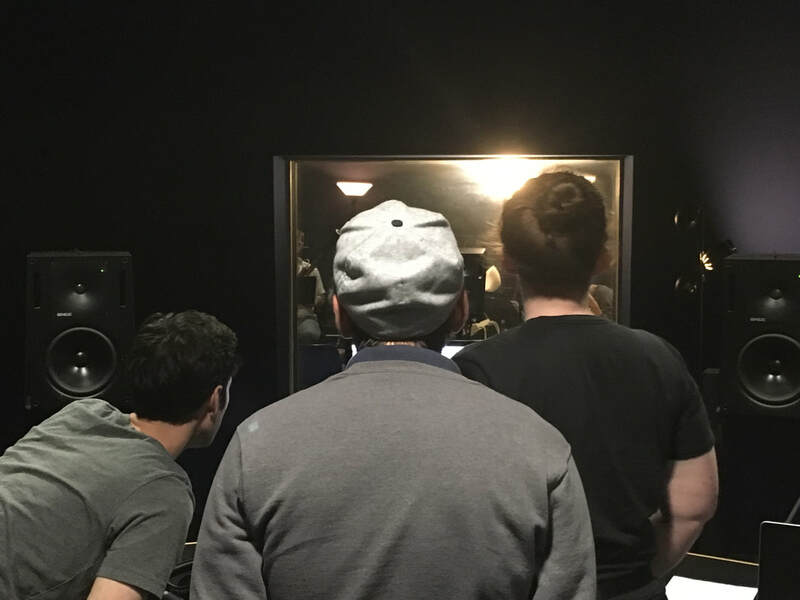 Here's a look back on the voice recording session for the production of ​Blind Mice. 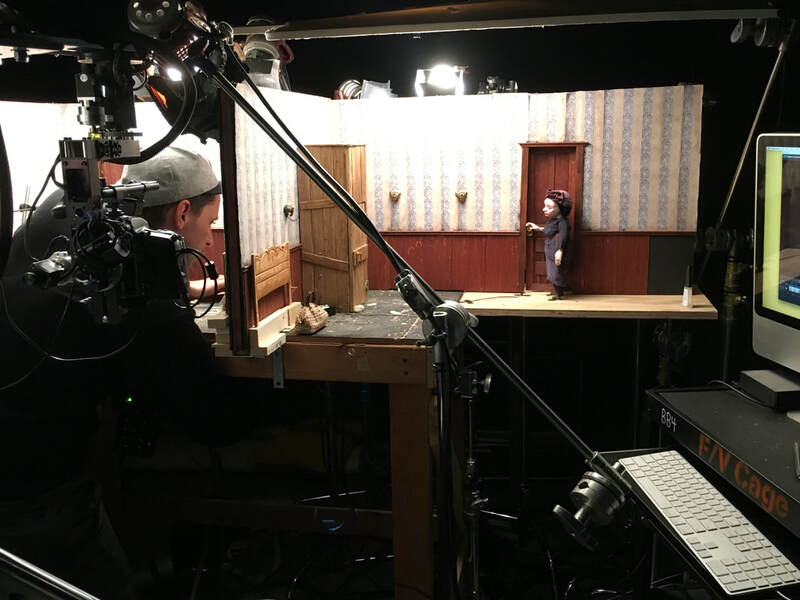 Before any of the film can be shot, the actors must get together to record their dialog so that the animation can be matched to it. Here is Preston Butler (Walter), Claudia Witt (Birdie), and Peter Guimaraes (Mouse) as they knock it out of the park. Shannon Lee helps gets us set up and recorded it all. 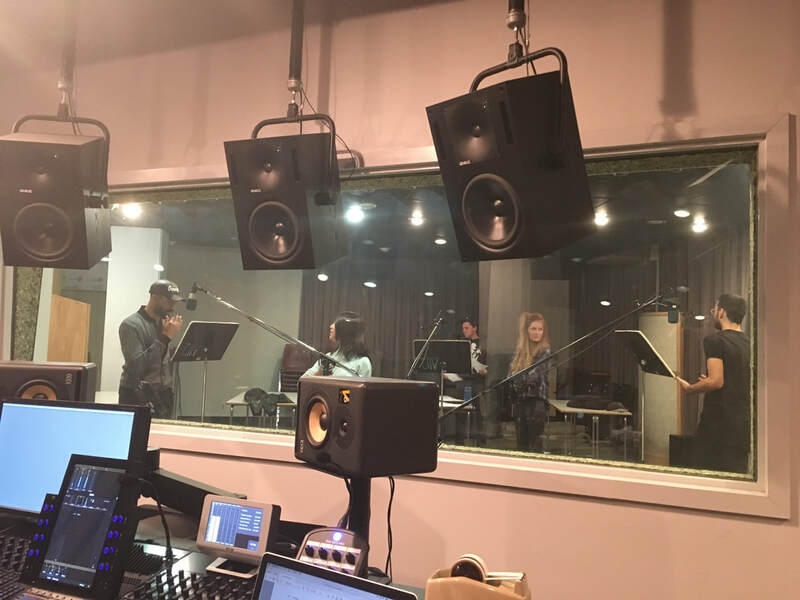 It was a lot of fun to see where they each took their characters and how they played off of each other during the recording session. We're half of the way through shooting our next short film Blind Mice! This last scene was an exciting undertaking and required that we call in reinforcements. Not just any reinforcements! The talented animator Ian Boone Timothy came out and collaborated with us on this one and we couldn't be happier. It's been a pleasure having such a creative team behind this movie. We can't wait to share more on this film in the coming weeks!